Here are some tips and tricks for B2B Facebook ads to get you on the right advertising path and boost your B2B Facebook marketing strategy. For some reason, the long-held belief that B2B Facebook ads won’t do much for B2B companies still perseveres. We do agree – it will be useless if you try to implement the same patterns and ideas that B2C companies apply. Advertising on Facebook imposes a challenge for B2B’s since they feel their audience is not on this platform. But that could not be farther from the truth. With over 2.20 billion users Facebook is still the most widespread social network with the most opportunities for businesses. As it evolves it brings more and more options for pinpointing the exact audience based on your predefined buyer persona. Whether your goal is to bring awareness to your brand, generate more leads, or create a strong relationship with your clients, investing your time and money on Facebook B2B advertising should be on your list of priorities. And if somebody tells you it’s hard work – take them by their word. But it can reap unimaginable benefits if you do it right. Knowing the goal of your campaign is half the battle already won. Facebook campaign objective is a reflection of what you want to achieve when you advertise on Facebook. Depending on the objective, Facebook will optimize your campaign and it will target people in your audience who are more likely to react to it favorably. The extensive list of Facebook advertising objectives might seem overwhelming at first glance. But to conduct a successful B2B advertising campaign on Facebook you only need to focus on a few objectives. Objectives such as App installs, Catalogue views, and Store visits are more suitable for a B2C. Although Reach, Messages, and Video views should not be entirely excluded, focusing on those that bring the best results first should be your priority. In the following text, we will break down each of the four Facebook objectives we believe are most suitable for B2B advertising. Within the Awareness category is your first step in establishing your brand on social media, and that happens through Brand Awareness. The goal of this campaign is to introduce your brand. It casts a wide net which can pull the prospect into the marketing funnel. In order to actually achieve that, Brand Awareness ads should be compelling enough to grab the prospect’s attention and spark their interest. The next category of Facebook campaigns is Consideration. It contains two important objectives for B2B advertising – Traffic and Lead Generation. This campaign allows you to directly send people to your website or a certain landing page. 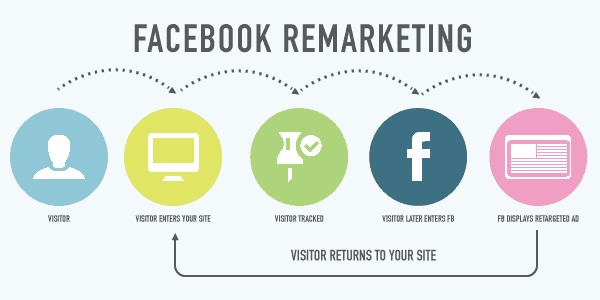 Unlike the Brand Awareness, with Traffic campaign, you can build very specific remarketing lists. They will give you a chance to be more precise when matching your products and services to a particular demographic. One of the biggest game-changers for Facebook advertising for B2B is the Lead Generation campaign. These ads are removing the middleman, allowing people to access your offer without leaving social media app. It will automatically fill in the form with their information. Which you can later use to build email lists or bring them further into your nurture program – or hand them over to the sales team! And lastly, the Conversions category brings the almighty Conversions campaign. These are the types of campaigns that can go really well if you keep a few things in mind. First, be smart about the audience you’re targeting. 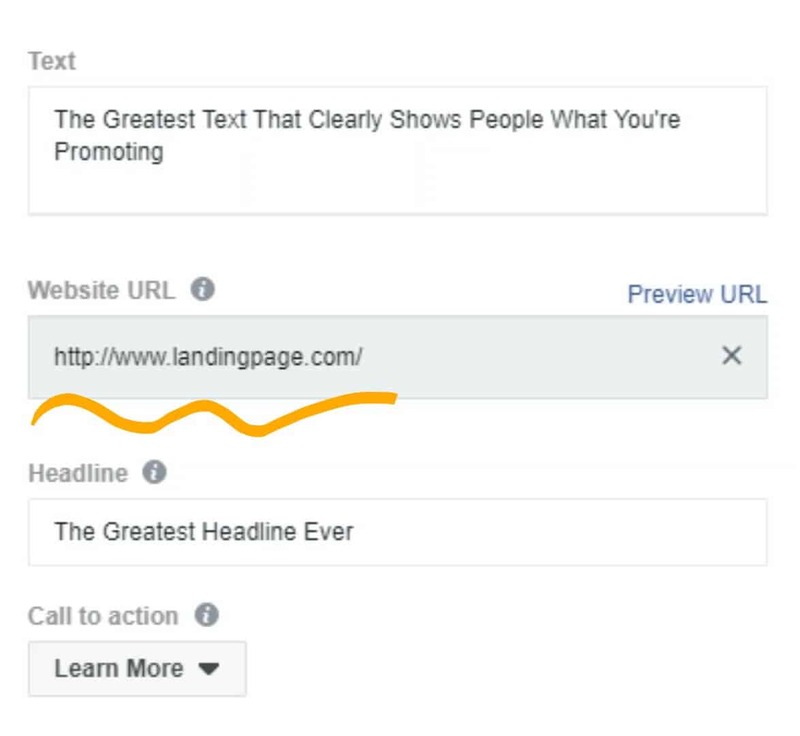 And second, make sure to attach a link to a specific landing page. This campaign tends to run more expensive compared to others, so make sure to maximize its value. Buyer personas should represent your ideal customers – they are the people you are trying to attract and connect with. They will help you identify and target the right audience for your business. And in order to understand what makes your prime customers come to you – you need to define your buyer persona. It comes full circle! The best buyer personas are based on an extensive market research and your insights gathered from your authentic customer base. Creating a buyer persona is not an easy thing to do, but it’s crucial if you want to steer your marketing towards success. If you don’t know where to start, Hubspot and Xtensio provide very useful templates to help you with your first steps towards creating your ideas buyer personas. Custom audiences have got a lot to offer to B2B advertising on Facebook, and we want to talk about three features you don’t want to overlook. Did you know that you can target people who don’t follow you on Facebook if you have their email address? You can upload your existing email database to the Customer File feature to find your existing leads on Facebook and target them directly. If they haven’t opened your email yet – through a compelling Facebook ad you can give them an offer they can no longer refuse. Another great feature is Website Traffic which will allow you to retarget your lost prospects. Particularly those that have already visited your website and shown interest in your product or service. Even if you don’t have any information about them – Facebook pixel will give you an option to create and target that specific audience. The third option we want to mention is the Engagement feature. It gives you an opportunity to create a list of people who have engaged with your content on Facebook. This is particularly helpful when it comes to retargeting prospect who have opened your Lead Gen ad but haven’t given their information. You can now regroup them and try a different approach by inviting them to your website, or a specially curated landing page. You can easily segment the audience based on certain targeting qualifications, such as interests that are relevant to your service or product. A great tip for creating a very specific B2B Facebook ad is defining buyer persona based on B2B work categories. You will find these categories when you click on the More Demographics, which will open up a new menu filled with many options to choose from. If you’re already familiar with companies you want to target, you can do that by choosing the Employer option and target specific people within that company. You can also choose a Job Title, and even New Job – a life event category which combines Job Title category within itself, giving you more peculiar audience to target. Now this one’s a treat – if you already have a winning, top-notch, crème de la crème audience, you can use Facebook’s Lookalike audiences to mirror it. While they might not be a duplicate for your source audience, they will certainly make for quality leads. The base idea for these audiences is that people who are most similar to your existing users are also the ones most likely to convert. If the audience is too wide, you can narrow it down with interests, behavioral and demographic targeting. That will more likely bring you high-quality leads. Exclusions are a great way to reduce the size of your audience and enter the perfect range. As much as it’s good to add things to the equation, excluding certain demographics, jobs, or interests could eliminate people who are not fit for what you’re offering. You can also use Exclusions to remove those who have already responded to your offer. That will, in turn, lower your cost per action, reduce money spent on wasted clicks, and reach more people who are likely to buy or convert. These are some tips you can implement to make your B2B Facebook ads more successful. But in the ever-changing world of social media marketing, it all boils down to the trial and error. Just because something doesn’t work, doesn’t mean that B2B should give up on Facebook advertising – it just means that your ad needs to be redefined. Facebook advertising has grown to such an extent that virtually any brand – regardless of their niche – can find their ideal customers on this social platform. With billions of users at the palm of your hand, Facebook gives you the biggest opportunity for reaching potential clients and partners, and you can’t afford to overlook it. If you need advice or guidance regarding B2B advertising on Facebook, you can contact us any time.